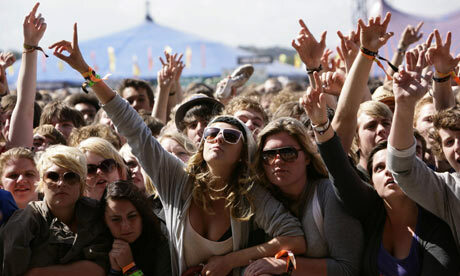 We are beyond excitement approaching a great weekend of music! On Friday night we have our first rehearsal and a photo shoot with our More Music @ The Moore peeps. On Saturday, it's our big and wonderful CD release party at Hales Palladium. Don't miss it! 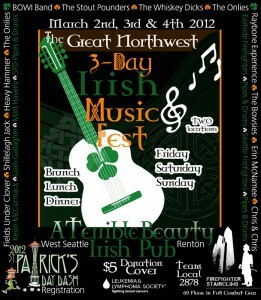 On Sunday, we'll have a fun and raucous St. Patrick's Day celebration at A Terrible Beauty on Lake Union. Woo hoo! Less than a month ago, we auditioned for a program called More Music at the Moore (sponsored by STG). This program is for young musicians (ages 14-21) to train and progress with the help of successful local musical mentors. At the end of the process, the young musicians will perform on stage at the Moore for an audience of almost 1,000. Most of the people who auditioned were singer-songwriters or pop music players...not as folkish or fiddleish. However, despite that, we got a callback! We performed again on the Moore in front of the judges (one song and one Irish tune--they liked the Irish one best! ), and recently received the news that we made it! It will give us an opportunity to collaborate with other amazing young musicians from around the Northwest, and hopefully create some awesome sonicular explosions. We are super excited and feel massively honored to be selected! The performance will be sometime in March, and we will give you more information about it later. Here is a video documenting last year's event. 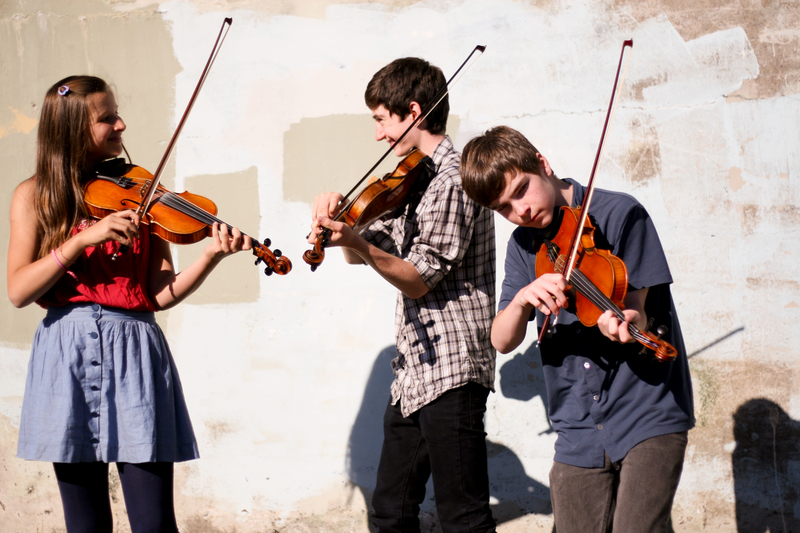 The Onlies are honored and excited to be playing a venerable and (hopefully crowded) contra dance in Seattle this Friday, the Emerald City Contra Dance at the Phinney Neighborhood Center. As grandpa used to say, we hear its the bee's knees. Here's hoping no actual knees will be injured by the high energy music. Matti Mero calls. All ages! As of this writing it seems like summer will never come to Seattle. But it will come. It must! 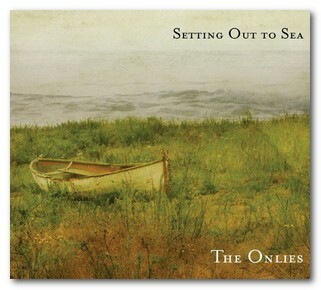 The Onlies are excited for their summer, which will include festivals, camps, busking, CD recording, dances, gigs, and hopefully some spontaneous outbreaks of great music on the porch. Keep up with their doings here and on their Facebook page. 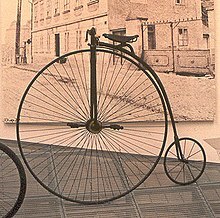 The Onlies like a bike or three, and are super excited to perform at the 16th annual Bike Works Kids Bike Swap. The swap will be held from 10 am - 4 pm at the Rainier Community Center (4600 38th Ave S, Seattle, WA 98118), and The Onlies will play from 2p-3p. Come on down! 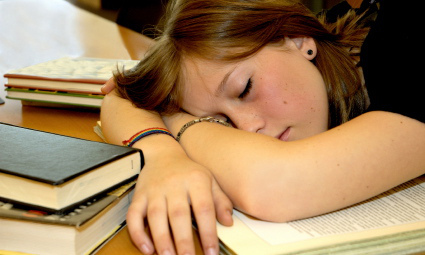 Thursday, 4/12/12 – Listen and Dance to The Onlies! The Onlies are looking forward to a couple of fun and exciting events on Thursday, April 12. First, they'll entertain college students (and the general public) with a noontime hour long concert at North Seattle Community College, at the college's Espresso Lounge. 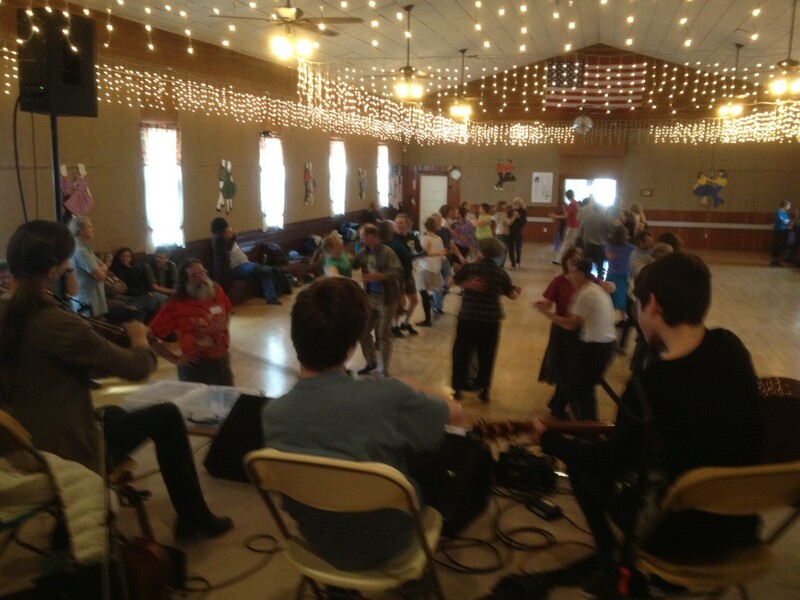 Later that evening they'll pump out three hours of utterly fantastic dance music at the venerable Lake City Contra/Old-Time Country Dance, joined by their friend, the outstanding young bassist RuthMabel Boytz. Both the concert and dance will showcase lots of new material and arrangements. These will be their last public performances for a little while, so don't miss it. For more information, click here or call (206)525-0932. 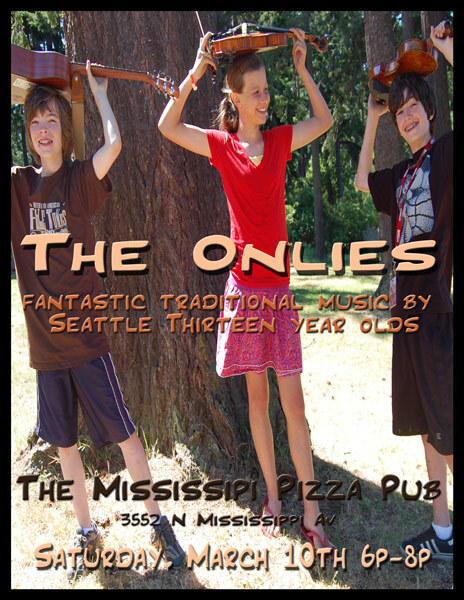 The Onlies are going to be in Portland this coming weekend, and will play an early show at Mississippi Pizza Pub on Saturday night, March 10th from 6p-8p. They'll be joined for a bunch of tunes by RuthMabel Boytz on upright bass, so there should be plenty of low notes to choose from. The ever-wonderful duo of Caroline Oakley and Pete Leone have agreed to play some songs and tunes to kick off the evening, so don't be late! For punishment gluttons, the Onlies will also be playing a contra dance the next day as part of the Portland Roadhouse event. Woo hoo! 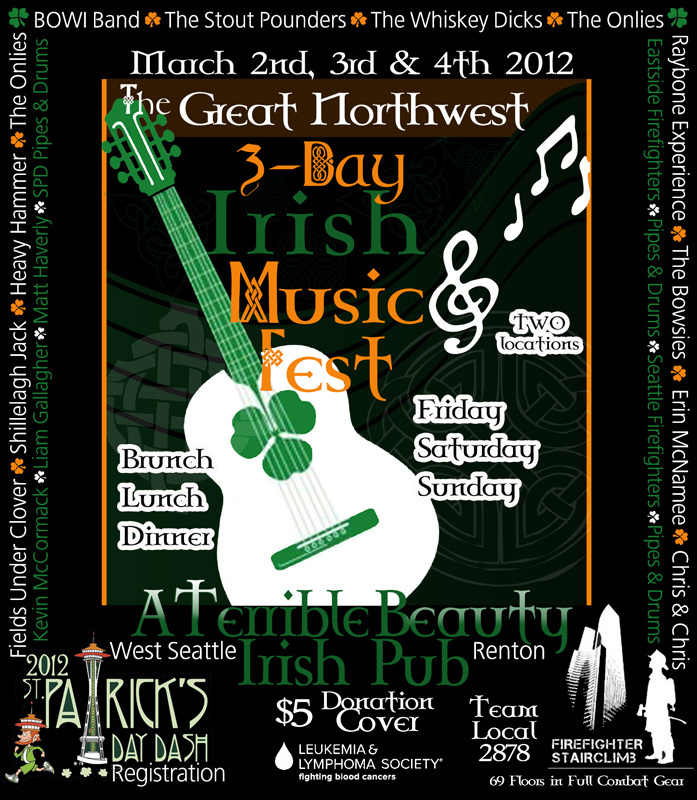 The Onlies are honored to help out a great cause by playing a couple of sets at the Great Northwest Irish Music Fest. It's a benefit for the Leukemia and Lymphona Society, and will take place at A Terrible Beauty Pub in West Seattle. This is the last chance to see The Onlies at A Terrible Beauty until later in the summer, so stop on by. There sets are on Saturday, March 3rd, starting at 11:00am. A Terrible Beauty is 4752 California Ave SW, Seattle, WA WA 98116.